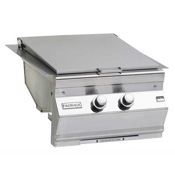 This is the largest and most powerful side cooker complementing any of the Fire Magic gas barbecues. 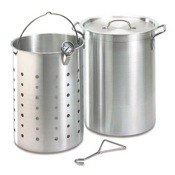 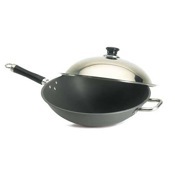 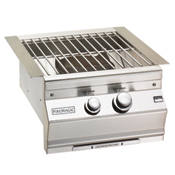 The Gourmet Power Burner easily accommodates a large saute pan or cook pot and provides the high heat perfect for wok cooking or even deep-frying a turkey! 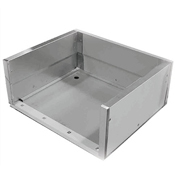 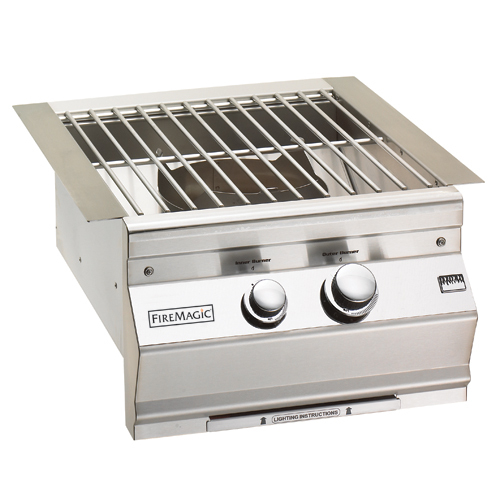 Fire Magic cast stainless-steel burners, stainless-steel rod cooking grids, and stainless-steel housings are WARRANTED for as long as you own (LIFETIME) your Fire Magic grill. 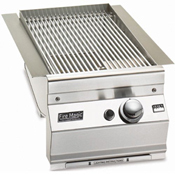 Fire Magic cast brass burners, brass valves, backburner assemblies (except ignition parts), and manifold assemblies are WARRANTED for FIFTEEN (15) YEARS from the date of purchase of your Fire Magic grill. 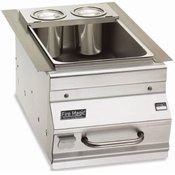 Fire Magic ignition systems (excluding batteries), electronic components (including lights and thermometers), and accessories are WARRANTED for ONE (1) YEAR from date of purchase.